For a UFC fighter, there’s nothing better than being a champion – unless, of course, you’re the challenger. 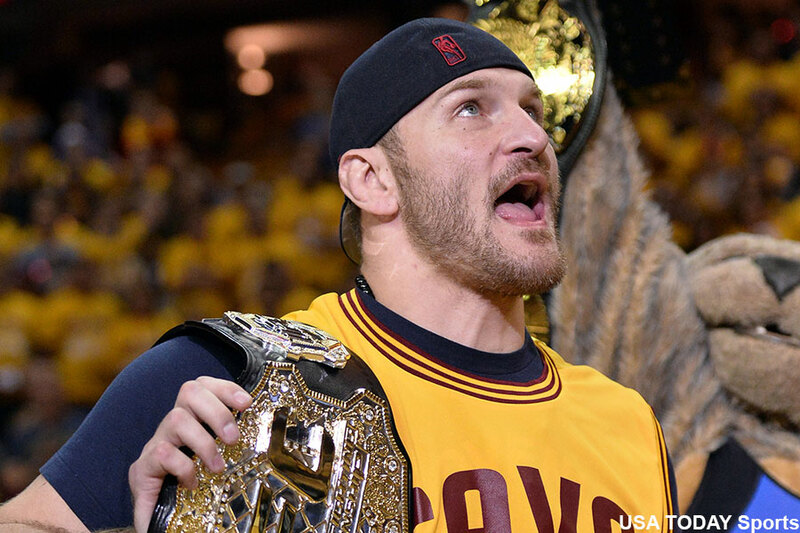 UFC heavyweight champ Stipe Miocic (pictured) feels the planet’s premier MMA promotion used him to headline UFC 203 in his hometown of Cleveland, then proceeded to reward him with peanuts. In his first title defense, Miocic was paid a flat disclosed salary of $600,000. Opponent Alistair Overeem, who Miocic rendered unconscious on the canvas before the close of the opening round, scored a cool $800,000. “I just felt like I was kinda crapped on a little bit,” Miocic said on Monday’s edition of The MMA Hour. “I try to do things right and work with them, and they just didn’t give me a great deal. That’s my own fault, but also they knew what they were doing. They took my kindness for weakness. And what did the UFC tell Miocic, who maintains his job as a fireman in Ohio despite donning UFC gold, when he confronted them about the 25 percent difference between his and Overeem’s paycheck? “Blah, blah, blah, blah. They just made up some excuse, like that’s the contract you signed,” Miocic said. Unfortunately, Miocic has nobody to blame but himself … for hiring whoever he paid to negotiate his deal. It’s a manager or agent’s responsibility to understand the financial landscape in order to get their client top dollar. It is unknown if Miocic received a pay-per-view bonus for UFC 203, but most, if not all, UFC champions get the lucrative bonus for show’s they perform in. Miocic’s last disclosed salary was three fights ago when he made $120,000, with half of his payday coming via win bonus, for plastering Andrei Arlovski at UFC 195. He captured the title in his next outing by dethroning Fabricio Werdum at UFC 198, but that contest took place in Brazil where fighters’ salaries are not disclosed. So Miocic received a nice bump for his first title defense, but he clearly isn’t happy the UFC claimed they had capped out their offer to him when Overeem was paid $200k more. It certainly didn’t help that the UFC paraded him around Cleveland as the show’s main attraction only to discover when the public did that he wasn’t the event’s highest earner. “You’re making money off me in my hometown, and you’re giving the man that’s a challenger who’s never won the title in the UFC, you’re giving him more money?” Miocic added. “It definitely should change. But the fact that my challenger made more money than me in my last fight was just kind of a slap in the face. Miocic doesn’t currently have a fight lined up, but when the time comes, it’s on him to make sure he gets the money he feels he deserves.